Reference-Based Pricing (RBP) programs are gaining in popularity due to their significant cost savings to both the employer and their employee/members. These savings often exceed 30 percent compared to the PPOs. PPO plans are at the heart of the overpayment problem. The Accountable Care Act turned a spotlight on the employer pays health care system, and a variety of companies started to publish data outing the PPO industry and the ridiculous “discount” reimbursement model. In reality, hospitals readily accept 130% to 150% of what Medicare would pay (sometimes less) for those willing to make cash-based payments. Intelligent employers started asking about ways to close the gap between the 300% of Medicare most are paying via the PPO models and what hospitals except from cash-based payers. PPO plans cost more because there is typically no transparency in fees for services charged by providers. As a result patients simply seek health care with no regard for cost whatsoever. The provider industry (hospitals and doctors) is aware of this flaw in the purchasing system and takes full advantage through what many would suggest are egregious overcharges for services. 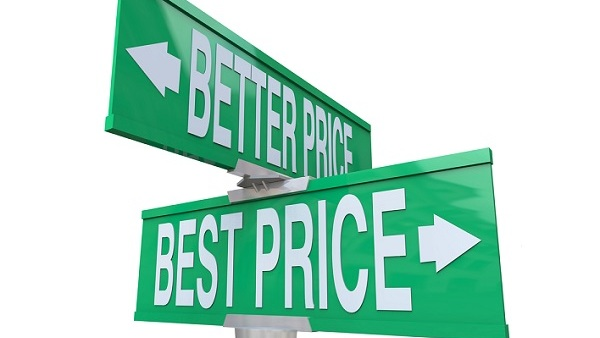 Reference-Based Pricing (RBP) – What’s fair? RBP offers remedies to this inflated, unfair system by using a defined-contribution model of health care benefit financing. First, an employer or sponsor of a group health plan determines a fair and just reimbursement for a medical service and defines such in its agreement with its membership. Pivot Health – Companion Life uses 150% of Medicare for Facilities and 125% of Medicare for Physicians. This is offered as payment first on an ANY PROVIDER basis. If the provider does not want to accept that as payment in full, Allied (Pivot Plans are exclusively administered by an independent third party administrator- in this case Allied National) has a “balance billing” that uses a negotiations model requiring that all claims be negotiated to mutual satisfaction. In the event your medical provider will not willingly process your claim, access the Pivot concierge service through the numbers on the back or your ID card. IF you paid the claim yourself make sure to put PLEASE PAY PATIENT on your ITEMIZED BILL so reimbursement is made payable to YOU. WHY USE THIS TYPE OF REIMBURSEMENT? You get a much lower rate. That is why! Since RBP plans are exclusively administered by independent third-party administrators (TPAs), there are typically additional savings in administrative fees and the elimination of PPO access costs as well. Typically these savings often exceed 30 percent compared to the PPOs. This adds up to saving potentially thousands of dollars a year of premium put back in YOUR pocket. Please Note: There are no non-network benefits. You must use a network doctor or hospital. These plans pay no benefits for out-of-network expenses except for emergencies. Emergency treatment from a non-network provider will be treated as a network eligible service. This could make you responsible for the entire out of network claim. With RBP from Companion this can NEVER Happen! Yes, sometimes it can be a bit inconvenient, but you have an agent for support and to direct you to the concierge service included with your plan at no extra charge. Usual and Customary Billing Process. The Pivot Health short term medical claims reimbursement system is set up to guarantee that no member will be responsible for a balance bill due to the discount taken for charges above the Medicare Reference Pricing amount, subject to the terms outlined in the certificate of insurance. This insurance plan reimburses medical providers based on a percentage above Medicare allowable amounts, paying: • 150% of Medicare allowable amount for medical facilities • 125% of Medicare allowable amount for physician claims. When bills are received, they are repriced according to these percentages of the Medicare allowed amounts, based on the Medicare fee schedule. Payment is made to the provider based on this amount and the reduction shown as a discount by the provider. If a provider wishes to review and discuss the allowed amount or initially objects to the reimbursement amount, the provider is connected with the repricing vendor. The repricing vendor is authorized to negotiate a settlement. In addition, providers are contacted proactively, to confirm that they are accepting the reimbursements and not shifting costs to members. If the provider bills the member for any portion of the discount, the member may refer that bill to Allied who will initiate the negotiation process. • The member needs to send a copy of the bill to Allied to validate the provider is billing for the discount. • The member is responsible for their out of pocket amounts (deductible and coinsurance). However, some members may not be clear on exactly what is being billed by the provider. Allied National will research and advise the insured if the discount has been applied or initiate contact with the provider by the repricing vendor. When insured members have questions or concerns, they should submit the bill to Allied by email to balancebilling@alliednational.com. The bottom line: It’s your money – why pay twice the price if you don’t have too! © 2019 Health Life Dental.